When I was 6 years old, I took my first journey to a galaxy far, far away and my life would never be the same. I was too young to view the Star Wars saga with a critical eye or even begin to comprehend how much work went into the production of a film, so all that mattered was that the story, characters and effects swept me away into a euphoric trance. I was hooked immediately. As great as A New Hope was, and as child friendly and fantastic I found Return of the Jedi, nothing could come close to Episode V: The Empire Strikes Back. It is an example of sublime pacing and storytelling, with so much remarkable content delivered in a running time barely over two hours long. For over 20 years, I considered the middle film of the Holy trilogy to be the defining work of cinema, and I never even considered moving it from the top spot...until now. Naming your favorite film seems like such an inconsequential topic, and yet I was truly troubled when I decided to dethrone the space opera that filled my childhood with so much joy. It had to be done though, as a film that was released in 2011 has become so much more to me than just entertainment or nostalgia. 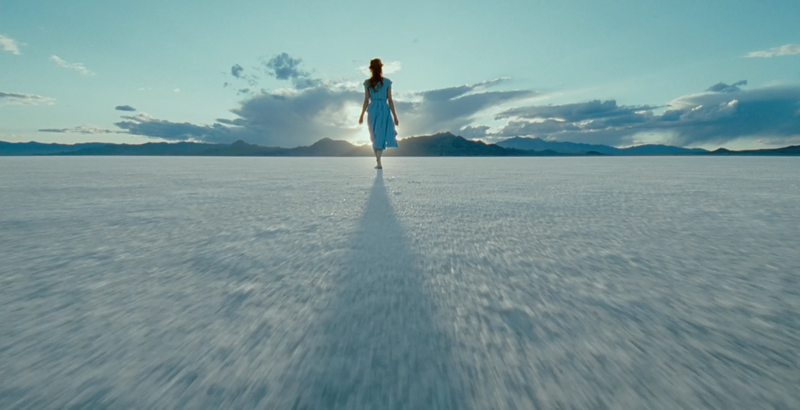 The Tree of Life by Terrence Malick has literally changed my perspective on what it means to wake up each day and live, and the irony of this is that the first time I attempted to screen the film I turned it off in anger halfway through. My initial reaction to The Tree of Life is easily explained: I wasn't ready for it. What I had seen of the film lingered with me and I realized it was important that I give it a fair chance, and after revisiting it I was stunned by the true beauty of the film. I have no idea what Malick is truly trying to represent through this work, but personally I appreciate life more because of it. I recognize that existence itself is a miracle, and the opportunity to wake up each day is something that shouldn't be taken for granted. The Empire Strikes Back is still a magnificent film, one I will love every day for the rest of my life, but The Tree of Life literally makes each of those days seem like a gift. That is why it is the greatest film I have ever seen. Picking a number one film would be an impossible task for me. Not really sure if I could narrow things down to a top 10 either. It is definitely tough Joe. I used to always have Empire Strikes Back by default because I had seen it so often for so many years, but I knew The Tree of Life had surpassed it because of how deep it hit me emotionally.